Pakistan Supreme Court disqualified Prime Minister Nawaz Sharif from holding public office on 28th July 2017. In a landmark judgment, a five Judge bench unanimously ruled to register a case against Sharif and ordered sending a reference against him and his family to an accountability court. The judges ruled that the Prime Minister had been dishonest to parliament and the courts, and could not be deemed fit for his office. The court also ordered the National Accountability Bureau to file the reference in an accountability court in six weeks and for the case to be wrapped up within six months. The reference will also be filed against Finance Minister Ishaq Dar and Captain (Retd.) Muhammad Safdar, Shairf's son-in-law. The Election Commission of Pakistan was also ordered to issue the notification declaring the prime minister's disqualification. This is the third time the prime minister has been unable to complete his term in the chief executive's office. Speaking to media, Attorney General, Ashtar Ausaf Ali said the prime minister has been disqualified for life and he will not be able to contest elections again. The scandal surfaced when the Panama Papers leaks last year revealed that Sharif's sons, Hassan Nawaz and Hussain Nawaz and his daughter Maryam owned offshore companies which managed their family's properties. 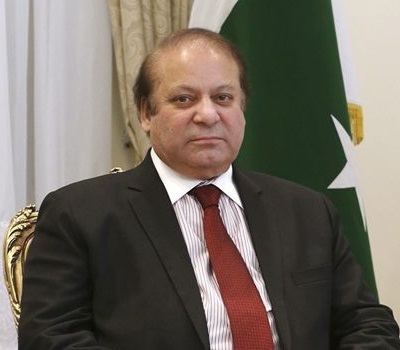 Prime Minister Nawaz Sharif has resigned from his post following the verdict of the Supreme Court.